Why you should help Alabama Launchpad celebrate innovation in the state, no matter where it occurs. 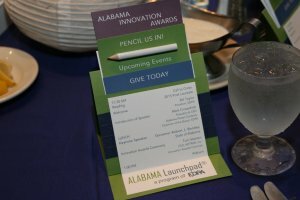 Alabama Launchpad is seeking nominations for the Alabama Innovation Awards. Winners will be honored at the 6th Annual Alabama Innovation & Entrepreneurship Conference. Across Alabama, people are taking leaps in ingenuity and creativity to come up with new ways to produce a product or solution to meet a need. Alabama Launchpad, a program of the Economic Development Partnership of Alabama, is on a mission through the Alabama Innovation Awards to celebrate this innovation in the state, no matter where it occurs. We want to recognize companies, businesses and individuals who have transformed innovative ideas into a product or service that delivers proven value. Alabama is a large state, and innovation is quietly thriving. We need your help in identifying the innovators, inventors and thought leaders. We know innovation comes in all forms and all sizes. It can be a large company or a small company with less than 50 employees or in a university lab. The innovation can be high tech, biotech or it doesn’t have to be tech at all. Innovation spans across all industries, and it propels Alabama’s economy and creates jobs. Since 2014, nominations came from a wide variety of companies and people. Former nominees have come from fields such as technology, manufacturing, life sciences and medical devices. In 2014, Alabama Launchpad recognized Dr. Emil Jovanov of the University of Alabama in Huntsville for his “Smart Bottle” technology that measures when a patient has taken his or her medication and reminds users if they missed a dose through an automated phone call or text message. Last year, we shined the spotlight on more innovation in the state, including To Your Health Sprouted Flour Co., located in rural Fitzpatrick, a Bullock County community. The company, started by Peggy Sutton, is the world’s leader in sprouted organic flour that was launched in her kitchen but has now grown from sprouting in mason jars to having specially designed equipment to handle 70,000 pounds of production a week with 32 employees. You can read about all of the past winners by clicking here. We are proud to present the Alabama Innovation Awards because they are the only ones of their kind for Alabama as a whole and aim to celebrate excellence, while showcasing the innovation and entrepreneurial spirit within Alabama’s businesses, industries and universities. The awards are all about bringing businesses, industry and people who are making a difference into the light, drawing attention to those who should be recognized publicly for what they are doing. This is your opportunity to nominate a business, industry or someone you think should get the recognition he or she deserves. Self-nominations are encouraged. The deadline for nominations is March 20. Winners will be recognized at the 6th Annual Alabama Innovation and Entrepreneurship Conference on Aug. 31. This premier event celebrates and recognizes the vital role entrepreneurs, startups and innovators contribute to Alabama’s economy and new job growth. All award nominations are carefully reviewed by an Alabama Innovation Awards Validation Committee, which will make recommendations to the Alabama Innovation Awards Judges. The judging panel will make the final decisions for awards to be presented in 2016. Help us recognize Alabama’s great innovators and share their stories about how they are making game-changing differences in Alabama. Nominations are due by March 20. Click here to get started and learn more about the awards. Contact Mary Hope Garmon at mgarmon@edpa.org or 205.943.4727.